Disability issue to persons fully or partially lost their working capacity. To confirm it documented, and then receive the corresponding benefits, use the following guidelines. 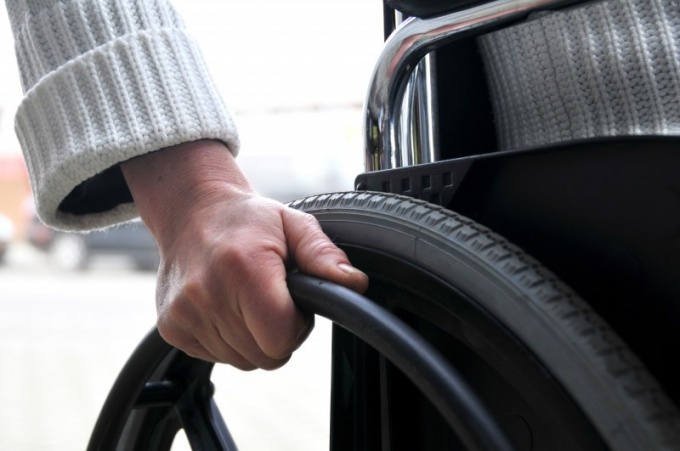 The first step for confirmation of disability will appeal to your doctor at your residence. Only he can give direction to ITU mediko-social examination . In case of failure of the doctor contact the Department of social protection of the population. If you are not directed to the ITU in any court, then demand a certificate about refusal in registration of disability, and already with her contact at the Bureau, ITU independently. The procedure of the Commission resembles the clinical examination – the doctors will be interested in not only your health, but also the reasons why the damage occurred to your health, for example, working conditions on the job. So, get in order to confirm the disability documented, should as much as possible and to tell professionals about what were the circumstances of disease development and the receipt of some injury. Prepare for this in advance. After you acknowledge a disability, you will receive an official document which confirms this fact, and the program further rehabilitation. With these documents, please contact the social security office to apply for a disability pension and other payable benefits and perks. After assignment to a specific disability group you will need to undergo annual re-examination. Only with the first group of disability re-examination is appointed every two years. For re-examination you will have to obtain a referral from a doctor or social security authorities, go through the spectrum of all necessary examinations and analyses. The survey you can prolong the disability or to remove a disability group in the case of recovery. A disability may be given indefinitely (for life) or for a year depending on the nature of the disease, well-being and rehabilitation. For renewal of the disability, or change the group needs to be examined and submit documents for consideration by the special Commission. In order to renew the disability in advance, before the expiry of the current disability, contact the clinic by place of residence and make an appointment with your doctor. It is important to inform the specialist about your desire prolong disability or change its group. 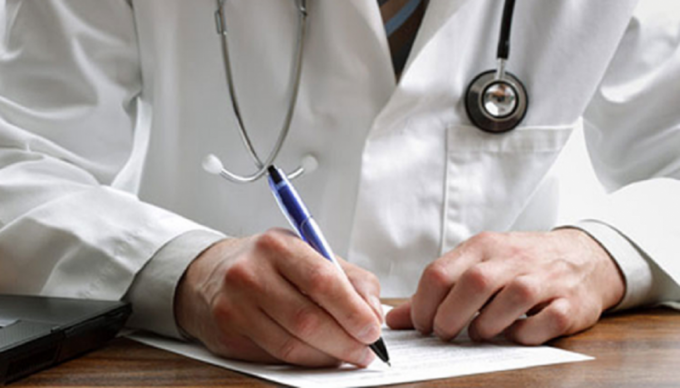 The doctor will begin to execute the Messenger sheet, which shall include information about the patient, complete the diagnosis. You will need to be examined. It usually involves standard tests (General analysis of blood, urine, biochemical analysis of blood), as well as additional, depending on the nature of the disease. Instrumental examination must include recording of the electrocardiogram, other diagnostic manipulations are assigned individually. The patient has to undergo specialists. In Tender sheet must be the opinion of the surgeon, neurologist and therapist. Other specialists the patient passes according to individual indications. Sometimes for a full examination of a person hospitalityat in a hospital, especially if the clinic lacks the necessary expertise or diagnostic equipment. After the messenger sheet fully decorated, the patient is sent to Medical Commission (MC). Usually it includes the therapist (senior therapist), a surgeon, a neurologist and Chairman of the Commission. As a rule, the medical Commission is working in each clinic several times a week. The members of the VC and clarify patient's complaint and decide the question of sending the patient to the Medico-Social Examination (MSE). Medico-Social Expert Commission worked on the basis of major medical institutions and decides on the need of the assignment or renewal of a person of a particular group of disabilities, and develops measures for rehabilitation of the disabled. To get to the meeting of the Commission is by appointment or first come first serve basis. Going to the ITU, the patient should bring the Messenger sheet, medical records, all the statements after inpatient treatment (originals or copies certified by the seal of the medical establishment), documented information about the labor activity (if the disabled person works), a certified copy or original of the work book, medical certificate (if any) passport. It is very important not to forget to bring on ITU individual program of rehabilitation of disabled (IPR) with respective marks of its execution. For re-examination of IPR should be performed. An individual rehabilitation program - a document issued after the first passage of the ITU. The program includes a complex of measures, directed on medical and social rehabilitation of the disabled. It specifies the necessary technical equipment (prostheses, wheelchairs, footwear, etc. ), which are issued free of charge, advice on the multiplicity of medical examinations, nature of work, etc. After the Committee members will read the papers, the patient is to necessarily invite for conversation and examination. The Commission then makes a conclusion on whether there is a need to extend disability and needs in the change groups and change the dpi. Then the members of the ITU issued a written opinion on its decision.